Did you know that your car keys could save your life? That's right, your car keys possess the power to save you in an emergency situation. 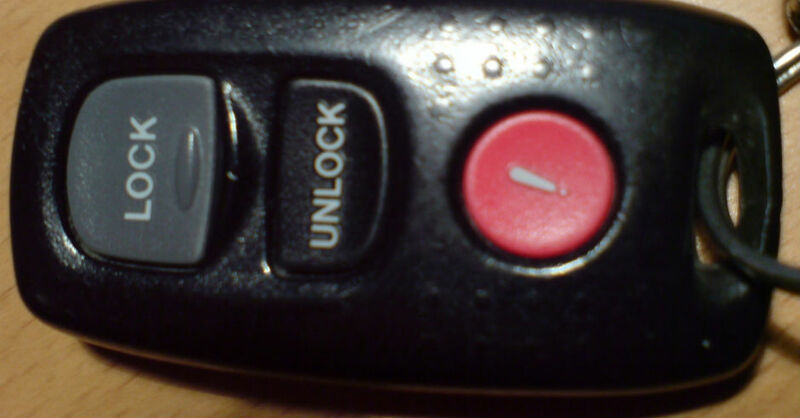 That is because most cars have built-in alarm systems with a corresponding alarm button on your keyless entry remote. For the most part, your remote will work within a few hundred feet of your car. This means that should something happen to you inside your home, if you have your keys on you, you can push the panic button to scare away a home intruder or alert neighbors that something is wrong. Generally, the alarm will not stop sounding until you turn it off or the battery dies. This idea was shared online by Facebook user Bryan Silva, who says that he learned this do-it-yourself trick from a neighborhood watch coordinator and felt compelled to share. In his lengthy Facebook post, he points out that simply keeping your keys by your bed while you sleep could save your life. When you sleep you are at your most vulnerable and may not be able to gather your bearings before a home intruder renders you helpless. By having your keys by your bed at night, you will always be prepared. He also says that this trick is great for the elderly and people who suffer from health conditions. Should you or someone you love suffer a heart attack or have a fall, the panic button could be pushed to alert neighbors that there is a problem. This easy DIY security alarm system requires no extra money or installation and may save lives! Do be sure to check that you car alarm works when activated from various areas within your home. You should also test how it works when your car is parked in various places, such as the street, garage, or driveway.